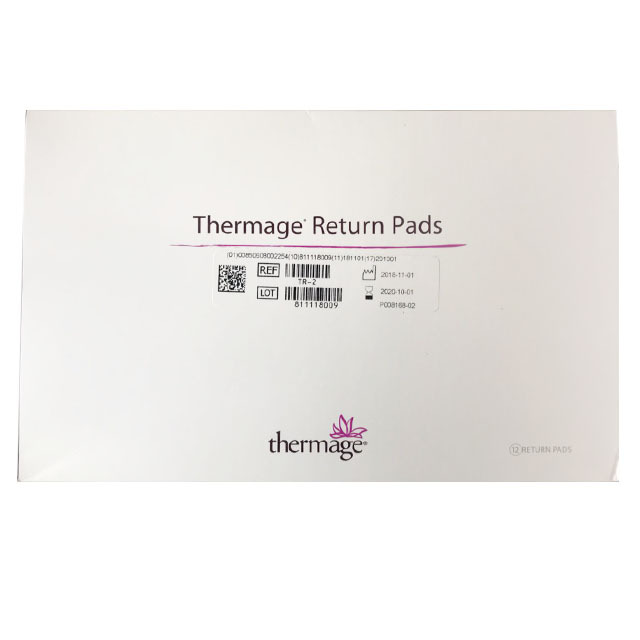 The Thermage system consists of one device platform with a large selection of single-patient treatment tips. 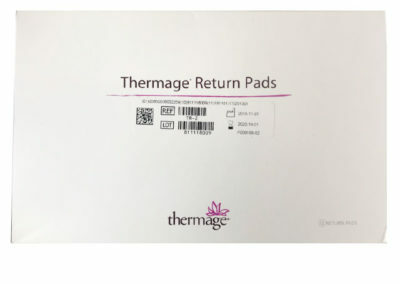 Thermage is a non-invasive, radiofrequency cosmetic treatment for skin tightening and the procedure uses radiofrequency to heat up the deep layers of the skin. 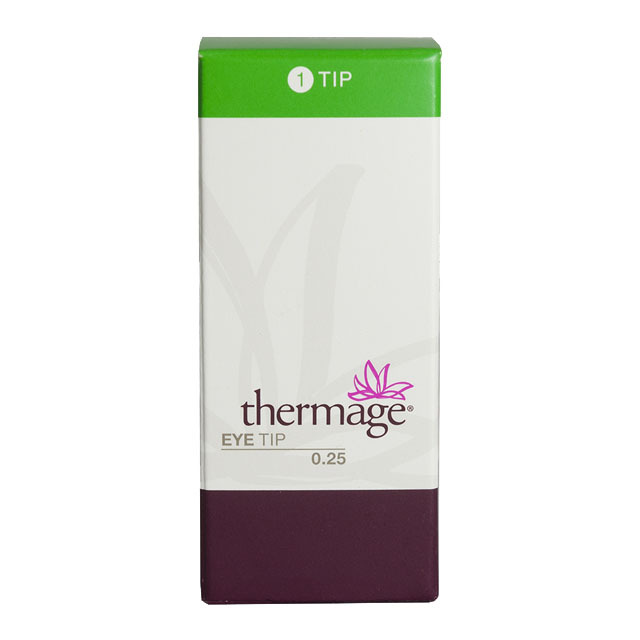 Thermage Eye Tip 0.25cm2 uses precise, shallow heating to smooth and tighten the skin of the upper and lower eyelids, reduce hooding and soften fine lines and crow’s feet. This tip has 450 REP and no vibration function. Works for all systems and with 1,1mm heating dept. 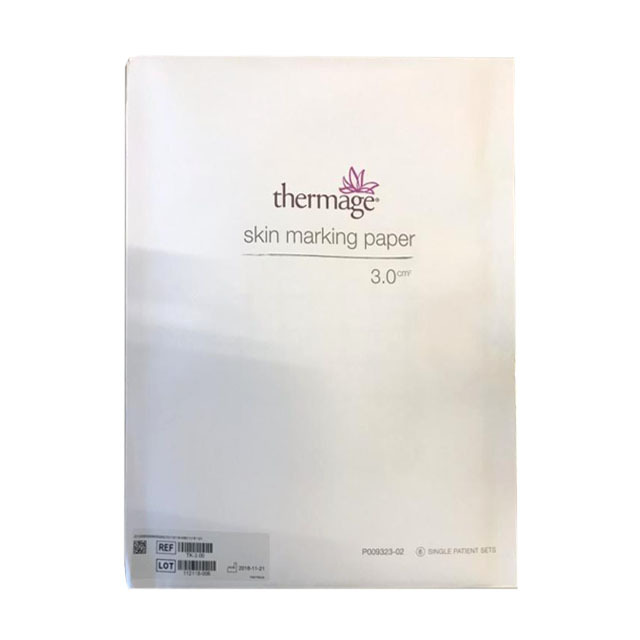 The Thermage Body Frame Total Tip 3.0cm2 uses maximum volume of bulk heat delivery for the whole face, neck and body and treats deeply to contour and tighten skin; addressing sagging skin and unwanted bulges. This tip has 1200 REP and uses gentle vibrations interspersed with a cooling sensation. Works only for CPT system and with 4,3mm heating dept. The Thermage Body Frame Total Tip 3.0cm2 uses maximum volume of bulk heat delivery for the whole face, neck and body and treats deeply to contour and tighten skin; addressing sagging skin and unwanted bulges. This tip has 900 REP and uses gentle vibrations interspersed with a cooling sensation. Works only for CPT system and with 4,3mm heating dept. 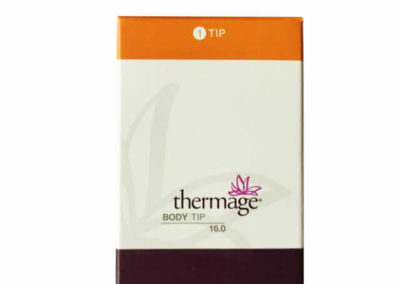 The Thermage 3.0cm2 Body Tip are to be used for whole face, neck and body and treats deeply to contour. This tip has 1200 REP and no vibration function. Works only for NXT system and with 4,3mm heating dept. 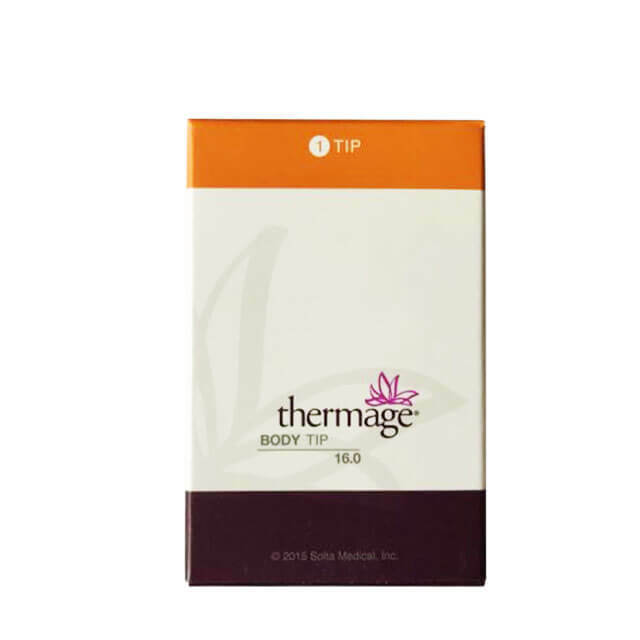 The Thermage Body Frame Tip 16.0cm2 uses maximum volume of bulk heat delivery for deep contouring and provides effective and comfortable body treatments and in half the time with five times the coverage of standard body tips. This tip has 400 REP and no vibration function. Works for both NXT and CPT system and with 4,3mm heating dept. The Thermage Body Frame Tip 16.0cm2 uses maximum volume of bulk heat delivery for deep contouring and provides effective and comfortable body treatments and in half the time with five times the coverage of standard body tips. This tip has 500 REP and no vibration function. Works for both NXT and CPT system and with 4,3mm heating dept. 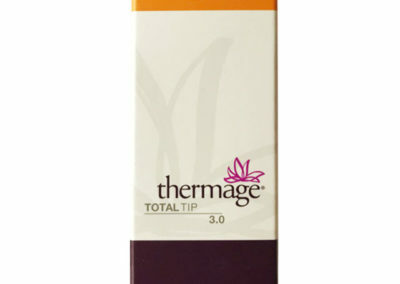 The Thermage Frame Tip 3.0 are only to be used for face and neck for smoothing, tightening and contouring treatments. This tip has 900 REP and uses gentle vibrations interspersed with a cooling sensation. Works only for CPT system and with 2,4mm heating dept. 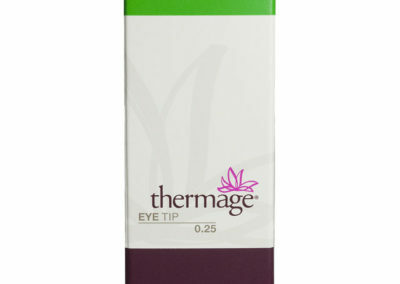 The Thermage Face Tip 3.0cm2 are only to be used for face and neck for smoothing tightening and contouring treatments. This tip has 900 REP and no vibration function. Works for all systems and with 2,4mm heating dept. 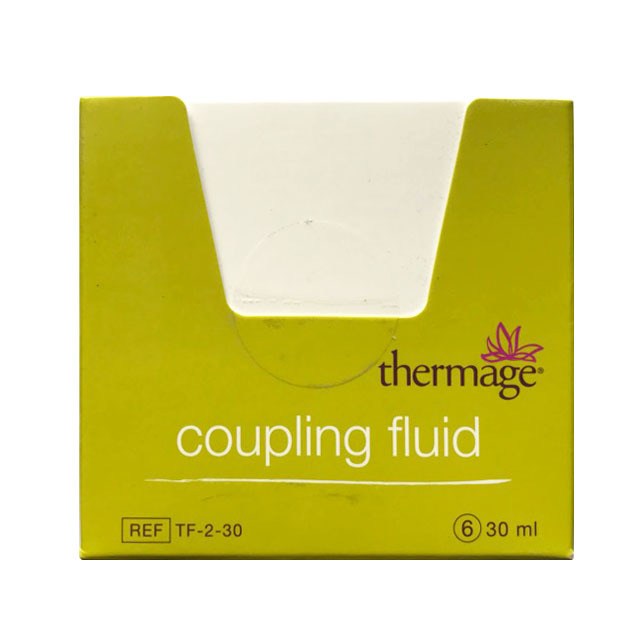 The Thermage Face Tip 3.0cm2 are only to be used for face and neck for skin tightening and contouring treatments. This tip has 200 REP and no vibration function. Works for all systems and with 2,4mm heating dept. The Thermage Face Tip 3.0 cm2 are only to be used for face and neck for skin tightening and contouring treatments. This tip has 400 REP and no vibration function. Works for all systems and with 2,4mm heating dept. 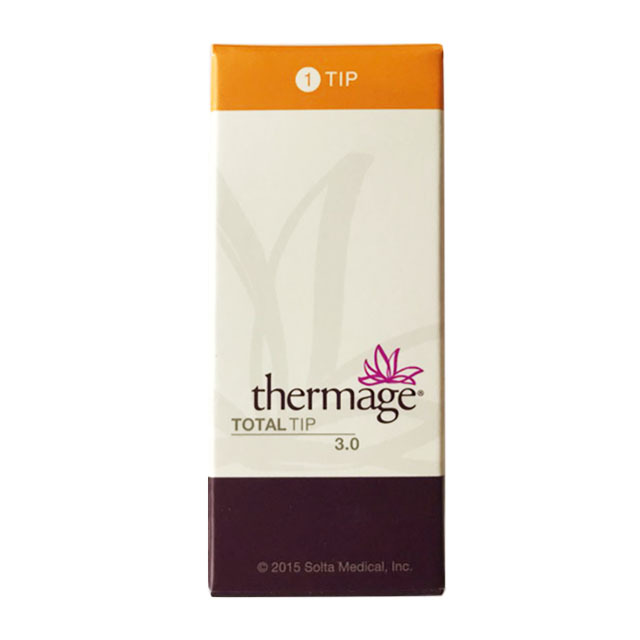 The Thermage Face Tip 3.0cm2 are only to be used for face and neck for skin tightening and contouring treatments. This tip has 900 REP and no vibration function. Works for all systems and with 2,4mm heating dept. 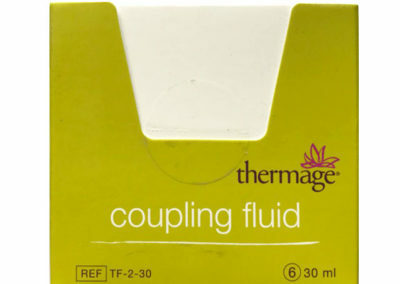 Thermage Coupling Fluid contributes to consistent electrical contact between the skin and the Thermage Tip and reduce friction. 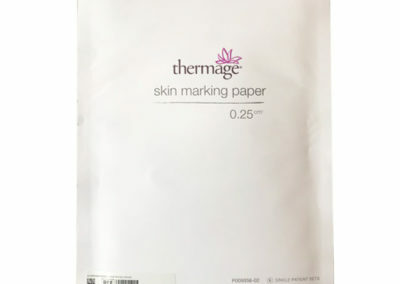 Thermage TK Skin Marking Paper contains 6 pre-defined grid pattern stencil that is used to direct precise pulse placement for the treatment zones on the applied skin area. Single use for 0.25cm2. 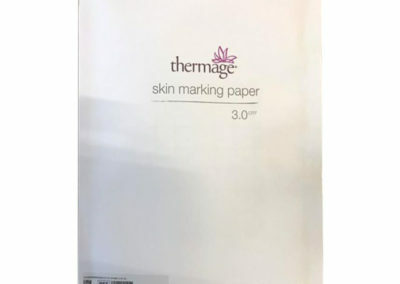 Thermage TK Skin Marking Paper contains 6 pre-defined grid pattern stencil that is used to direct precise pulse placement for the treatment zones on the applied skin area. Single use for 3.00cm2. 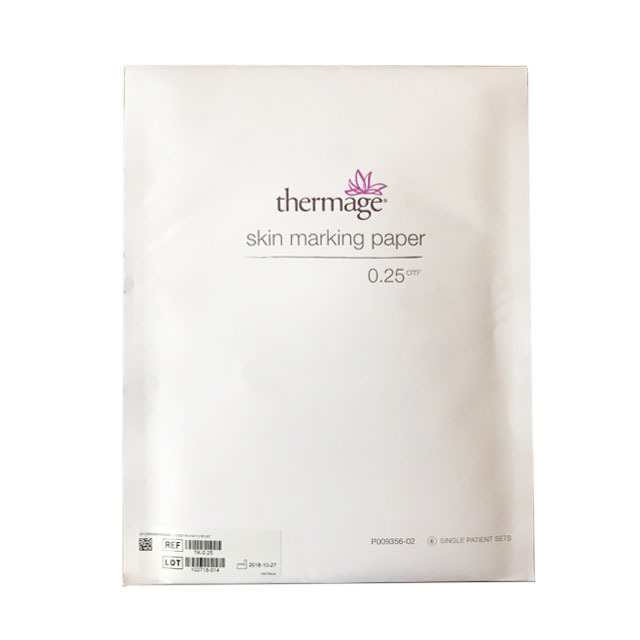 Thermage TK Skin Marking Paper contains 6 pre-defined grid pattern stencil that is used to direct precise pulse placement for the treatment zones on the applied skin area. Single use for 16.0cm2. Thermage Return Pad completes the radio frequency return pad to the console. Thermage handpiece conducts the radio frequency to the Thermage Tip. The TH-2 handpiece works only for NXT system. Thermage handpiece conducts the radio frequency to the Thermage Tip. The TH-3 handpiece works for both NXT and CPT system. Thermage handpiece conducts the radio frequency to the Thermage Tip. The TH-4 handpiece works only for CPT system.